Civil engineers around the world have begun taking a pledge to support the ASCE Grand Challenge and its goal of cutting infrastructure life-cycle costs in half by 2025. The ASCE 2016 Convention, Sept. 28–Oct. 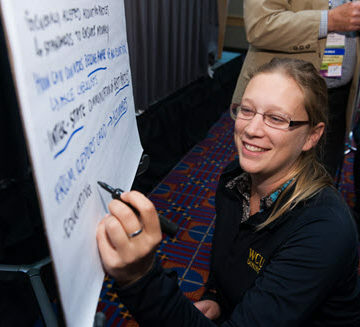 1 in Portland, OR, was an ideal venue for engineers of varying specialties to share ideas and strategies to achieve the goal. A new ASCE Grand Challenge website is encouraging civil engineers to support the initiative by clicking an “I’m in!” button. While there, visitors can share relevant professional experiences, follow updates on outreach projects, and more. Potential ASCE Grand Challenge solutions revolve around four key elements: life-cycle cost analysis, performance-based standards, resilience, and innovation. Each was a recurring theme at the ASCE 2016 Convention, particularly innovation. 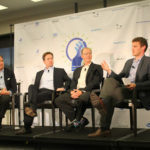 Convention events encouraged that space to think about innovation. Opening keynote speaker Frans Johansson talked about how diversity in people and ideas drives innovation, while closing speaker Gabie Figueroa outlined a similar form of intersection in her own career as a civil engineer and professional women’s hockey player. 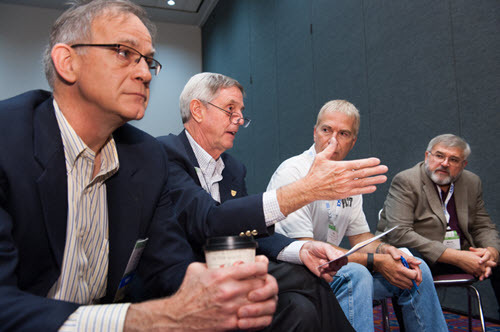 ASCE’s Industry Leaders Council conducted another in its series of Industry Leaders Forums during the convention. 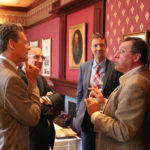 This year’s was a roundtable conversation led by ILC member Jerry Buckwalter, A.M.ASCE, director of strategy for Northrop Grumman, with Jeffrey Purdy, P.E., associate vice president of Intelligent Infrastructure Systems, Jason Magalen, P.E., M.ASCE, coastal engineer for HDR and 2016 ASCE Innovation Contest winner, and Frank Moon, Ph.D., A.M.ASCE, Rutgers University professor. 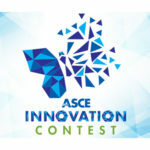 ASCE launched its second Innovation Contest on Sept. 1, and will be accepting submittals through March 1. Buckwalter and the ILC designed last year’s contest, which gave its winners the chance to present their ideas to top industry decision-makers. Buckwalter said the important thing is not only having a great idea but articulating it well. Everything about the ASCE Grand Challenge is on a large scale. The notion of life-cycle cost analysis considers infrastructure decades out. Resilient design, meanwhile, requires a complete understanding of a project’s context. A Grand Challenge session at the convention split attendees into groups to seek and apply innovative, big-picture approaches to solve hypothetical problems. Context and community were common threads in each group’s solution. “The diversity needs to be a lot more than the individuals in the room or the engineers involved,” said Michael Scancarello, EIT, A.M.ASCE, a Younger Member who works as a structural engineer for Odeh Engineers in Providence, RI. “The diversity needs to include the residents of the towns that we’re talking about. It needs to include the policymakers; it needs to include the lawmakers. Educating them is going to be a big goal toward releasing some of those impediments that we have right now, some of the things that are holding us back,” Scancarello stressed. It is right that we are thinking to reduce the cost of construction and material to reduce the total cost of structure.but here according to my view we have to put our concern first for proper and complete use of material and also proper maintenance of substances used in this work.because as a student on several construction side in India I have seen zero per cent care of instrument like shoring plates,cement bags etc.if we focus on this we will be very much benefitted.